The Crux of Crota has dropped. People have the Necrochasm! Keep in mind that you need to have the Eidolon Ally before you can obtain Necrochasm. We’ve outlined the entire process in this article. A few days ago we reported that the Crux of Crota was indeed in Crota’s loot table, despite some people assuming it was glitched or bugged. Before The Dark Below was released, Bungie discussed the new drop refinements, and how loot would work differently in Crota’s End. Bungie added the ability for Destiny to track the drops you’ve already had, as well as how long its been since you received a particular item. With the Crux of Crota, they’re tracking who has the Glowhoo shader (a guaranteed drop from Crota on hard mode). If it’s your very first time completing the raid, and you don’t own the shader yet, the Crux of Crota is not going to drop for you. The Crux of Crota is obtained simply by completing Crota’s End on hard mode. You do not need the Glowhoo shader equipped, but you do need to own it on one of your characters. If you’re completing hard mode, you most likely already have this shader, so you shouldn’t need to worry about this. Following these steps will allow you to have the chance at the Crux of Crota, but it’s still not a guaranteed drop. 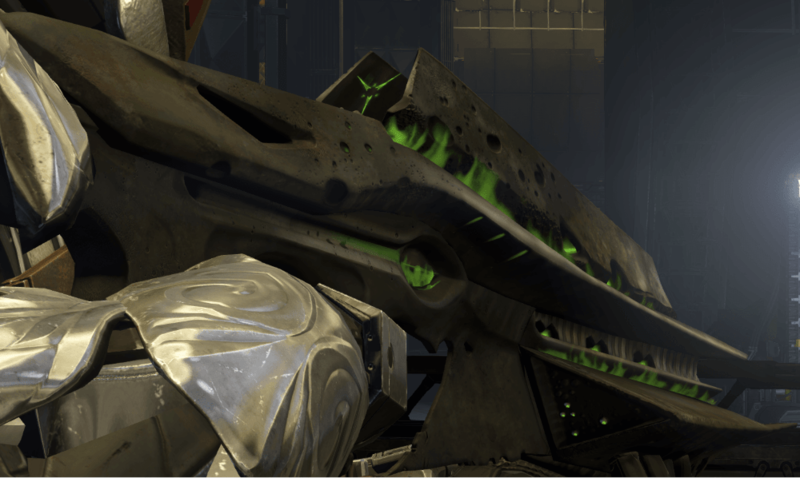 Once per week, have at least 1 character complete Crota’s End hard mode. Own Glowhoo – it doesn’t need to be equipped, but it can be. Following steps 1 & 2 will give you the chance to get Crux of Crota, but you’re not guaranteed to get it. Each of your characters can attempt this each week. The database shows no required XP amount to unlock Necrochasm‘s perks, and we suspected this may be a bug, but it’s actually not. When you unlock Necrochasm via Eidolon Ally, all of its perks will immediately unlock! This is a neat feature and the only weapon that has this capability. After all the grinding that needs to be done to acquire it, it’s certainly appreciated. Necrochasm also has a new max Attack of 339, slightly more than the standard 331. The Attack value might be linked to the Light level, and could be 331 if you’re below level 32, but that’s just speculation at this point. 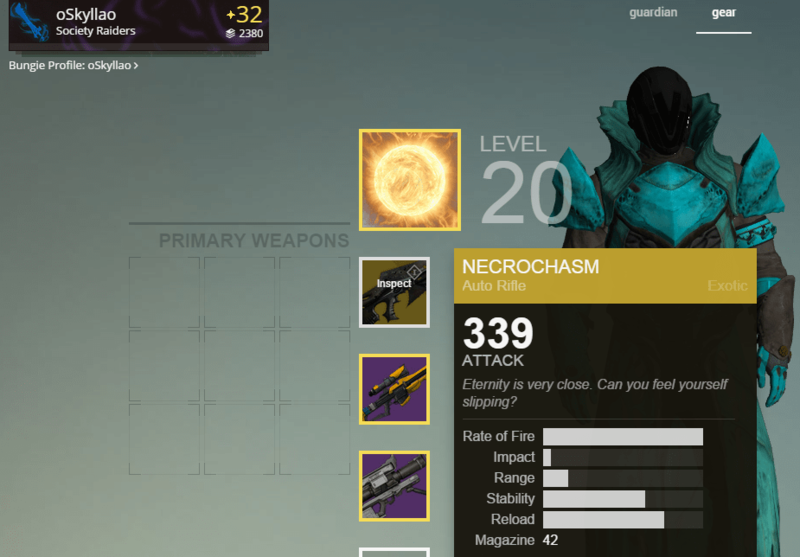 Like the Vex Mythoclast maxing out at 323, Necrochasm might also stay static, and not increase to the new House of Wolves max Attack value.